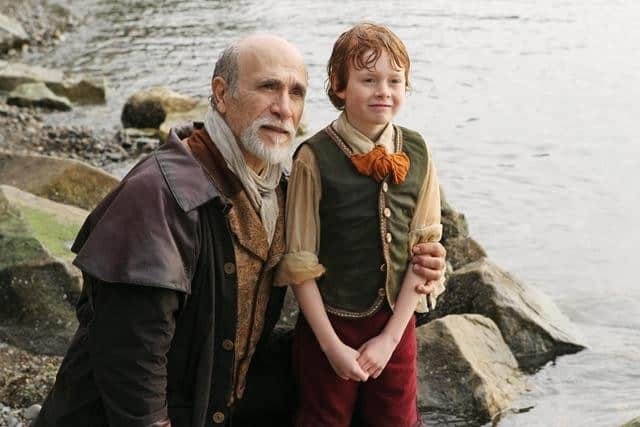 On the show today is Tony Amendola, a working actor with over 40 years in the business, he navigates between stage, screen, and voiceovers, from leading parts to characters and everything in between. Tony’s simple dream years ago to “work as an actor” would take him to Mexico, Japan, New Zealand, Australia, England, Bulgaria, Canada, and across the United States. He’s well-known to audiences for his work on the shows Stargate SG-1, Continuum, and Once Upon a Time. 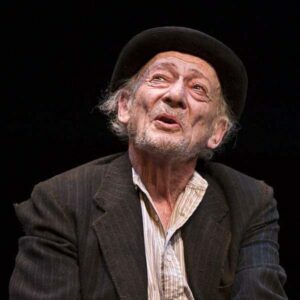 Some of his theatrical roles include Cyrano, Iago, Uncle Vanya, Cassius, Malvolio, Petruchio, and Mark Antony. In our chat, Tony talked about why he loves being an actor and the phrase from truck drivers to Shakespearean kings came up, and I thought that not only described his own career really well, but could also have been a great title for this episode. That’s really what you have the opportunity to do in this career, to play so many different types of people in so many different situations, and it can definitely be the (working) actor’s life! Tony has always been an actor I’ve admired, and I’ve actually been a little bit intimidated by him—we chat about the perceptions by others that actors have to navigate. Of course as is usually the case, there was no reason for my hesitations at all: Tony is such a warm and giving person, and we had a fantastic chat. And years ago, when I first got to know him onstage, it was cool to go back and see that I definitely noticed him in works like Seinfeld and The Mask of Zorro. And one of my favorite projects that I saw Tony do was a reading of the play The Father in LA—it’s a really wonderful play and I thought that Tony was just phenomenal in it. Plus a whole lot more, and Tony also lets us in on how he works through Shakespeare’s sonnet #130! Tony was recently seen onstage as the detective Hercule Poirot in Murder on the Orient Express at La Mirada Theatre. He’s a founding member of the Antaeus Company in LA, and recent performances with them include roles in Hedda Gabler, Mrs. Warren’s Profession, and as Jaques in As You Like It, for which he was nominated for an LA Ovation Award. 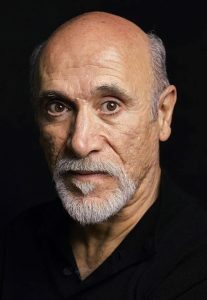 Please enjoy my chat with Tony Amendola! Want to hear from who Tony considers one of the great Shakespearean teachers and actors? Check out my talk with Dakin Matthews! People who talk about doing plays, but never do a play! It’s Martha Porter- USC ALUM/ SDA. Your podcast is helpful and uplifting. It is important to upkeep self-esteem and confidence in auditions and on-the-set. Tony’s insight is encouraging.